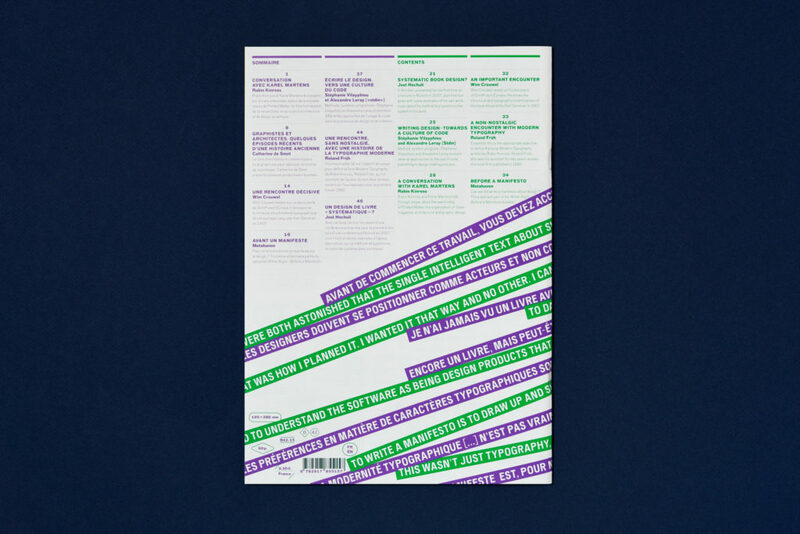 Back Cover, graphic design, typography, etc. 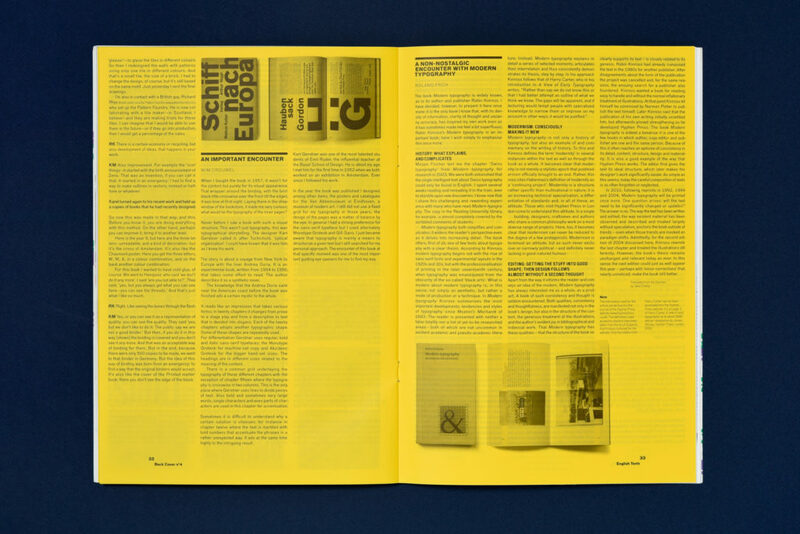 is a publication focused on thinking and analyzing graphic design and typography’s practices; and to a larger extend visual arts. 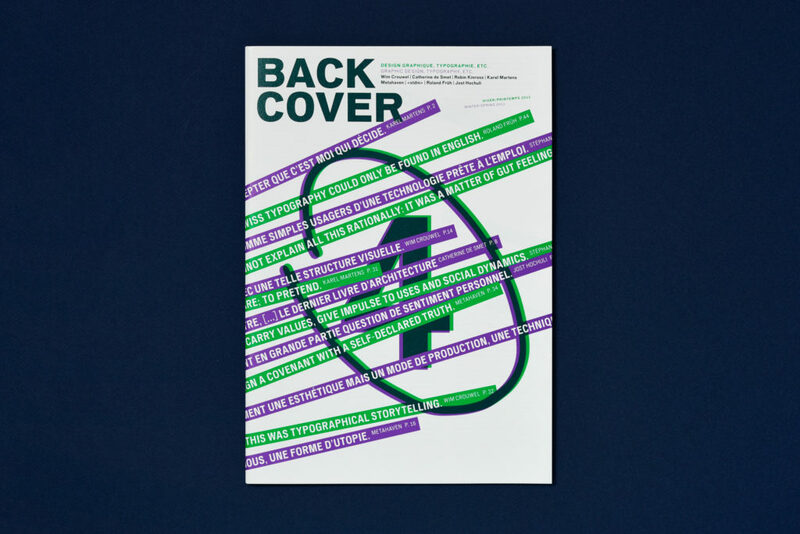 Back Cover is a featuring showcase for major figures from all over the world who make or review the visual environment we live in; and whose works, ideas or opinions are strong and relevant. Designers of all kind are particularly encouraged to publicize their word in it. Back Cover is not a newsmag. It offers reflections, historical and critical analysis, individual and collective experiments. 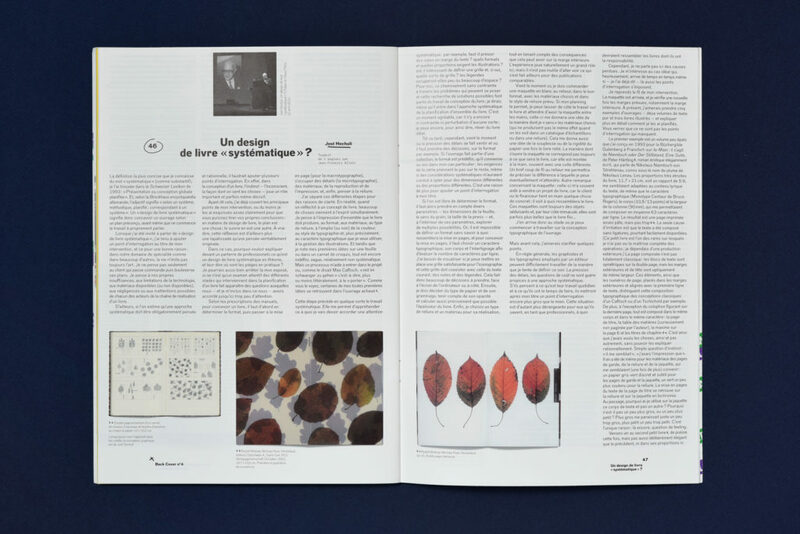 In this text, presented for the first time as a lecture in Munich on 2007, Jost Hochuli gives with some example of his own work, clues about his method and questions the system in his work. Method, system, program: Stéphanie Vilayphiou and Alexandre Leray present several approaches to the use of code publishing in design making process. 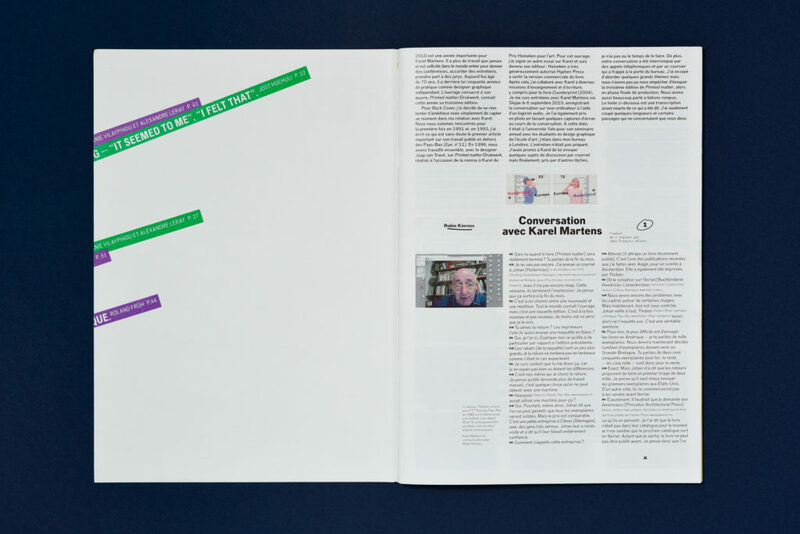 Robin Kinross and Karel Martens talk; through Skype, about the new binding of Printed Matter, the organization of Oase magazine, architecture and graphic design. Wim Crouwel reveals us his discovery of Schiff nach Europa. He shows the structural and typographic inventiveness of this book designed by Karl Gerstner in 1957. Essential: this is the appropriate adjective to define the book Modern Typography written by Robin Kinross. 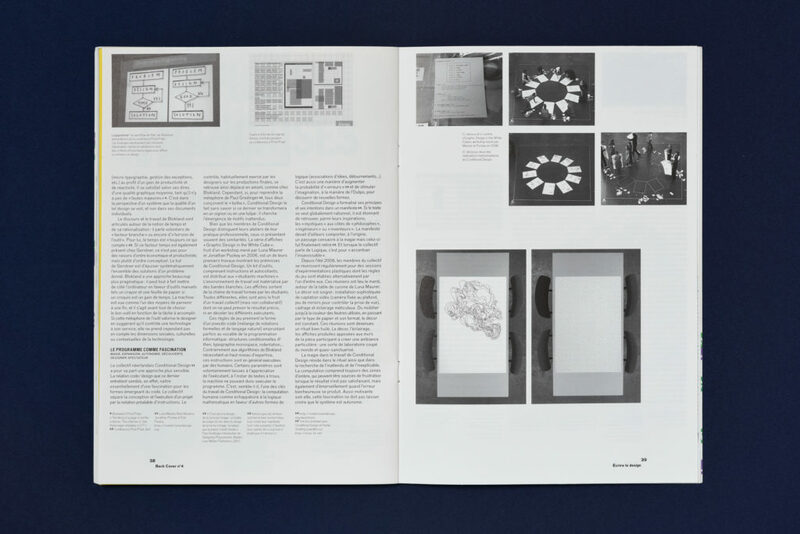 Roland Früh, who was his assistant for two years, evokes this book first published in 1992. Can we still write a manifesto about design? 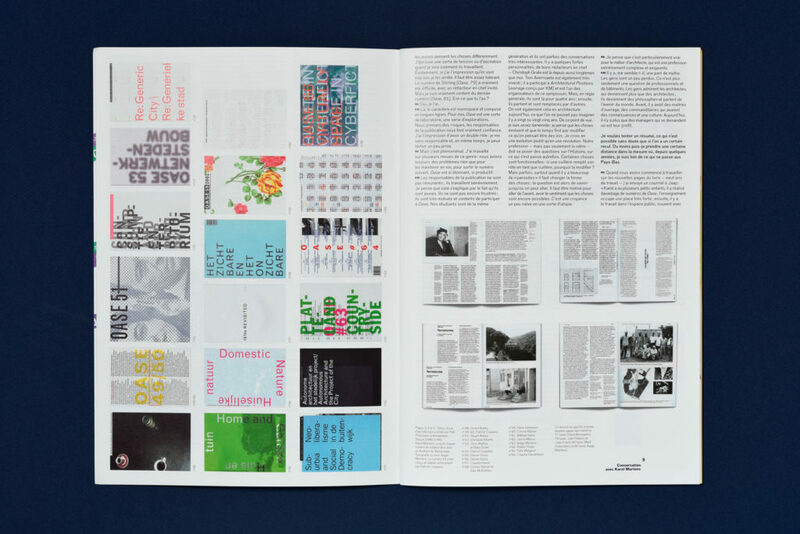 Third and last part of the White Night–Before a Manifesto booklet.